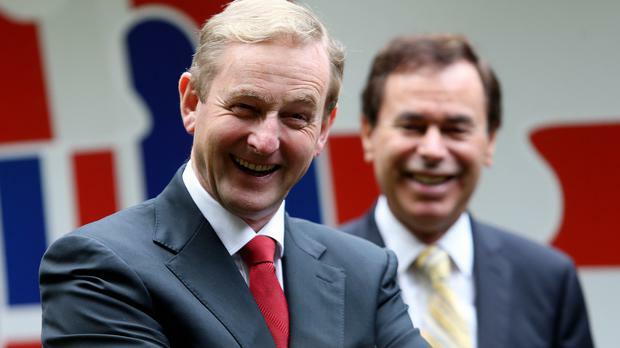 Former justice minister Alan Shatter has heavily criticised Taoiseach Enda Kenny, accusing him of losing his moral compass in a desire to cling to power. In a scathing attack on his Fine Gael leader, Mr Shatter claimed Mr Kenny was placing self-preservation above the needs of the country. "Enda Kenny has only one strategy - continuing political survival and to remain Taoiseach and in government for as long as possible. Retention of power is the only game in town," said Mr Shatter. "Principle, values, fiscal and economic objectives, social priorities, concepts of public service and of the public good or the long-term political health of the Fine Gael party, have long ceased to be his primary focus when determining how issues should be addressed. "For the Taoiseach, doing what is right for the country has come to mean doing what is required to politically survive and remain Taoiseach for as long as he can string it out." Mr Shatter resigned from Mr Kenny's government in 2014 amid criticism of his handling of allegations made by Garda whistleblower Maurice McCabe. Last year he successfully challenged in the Court of Appeal how some adverse findings made against him in an official report by Senior Counsel Sean Guerin were reached, but not before he lost his Dail seat in the 2016 election. He denied his hard-hitting opinion piece in the Sunday Independent was motivated by a "chip on the shoulder". In February, the Taoiseach told members of Fine Gael he would address his future "effectively and conclusively" upon his return from his annual St Patrick's trip to the United States in March. Mr Kenny, who has been Taoiseach since 2011, had been under pressure to set a timetable for his departure following a poor showing in last year's election and subsequent criticism of his handling of a number of recent political controversies, including the McCabe affair. He has yet to make a public statement on his plans, claiming in the US that his retirement would take a back seat until political instability in Northern Ireland was resolved and the European Union's negotiating position on Brexit was established. There is expectation he could set out a timetable when he addresses Fine Gael members after the next EU Council meeting at the end of the month. 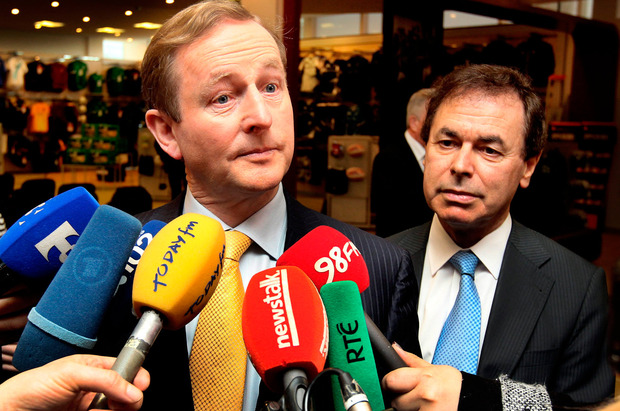 Next week, Mr Kenny will become the longest serving Fine Gael taoiseach, eclipsing the record held by John A Costello. Mr Shatter said the chain of events was "comical" - claiming every time a potential departure date approached, something new was identified to prolong the Taoiseach's tenure in office. "There is no moral compass by which the actions or pronouncements of the Taoiseach are presently guided," he added. The one-time close colleague of Mr Kenny accused him of running Fine Gael like a "semi-secret society" and claimed there was "something rotten at the heart of the party". He said the party was facing the prospect of a return to the opposition benches after the next general election unless things changed. A spokesman for Mr Kenny declined to comment on Mr Shatter's remarks.